It's the day we all been waiting for. Tonight is the night that one of the best takes the stage. 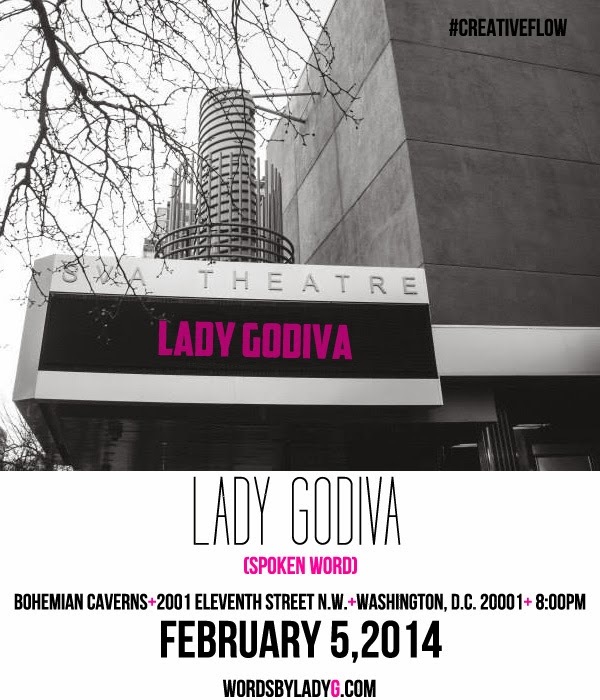 Lady Godiva (Ghadir) will be live in D.C tonight. Come out and laugh and eat and enjoy the great spoken word. So proud of her.